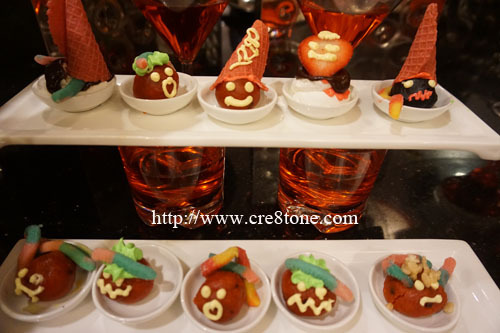 What kind of Halloween food.. Feels like eating slightly later.. When kiddos are done with the meal..
And adults still feels like having more..
As the buffet is really yummy.. This table cloth is so useful.. 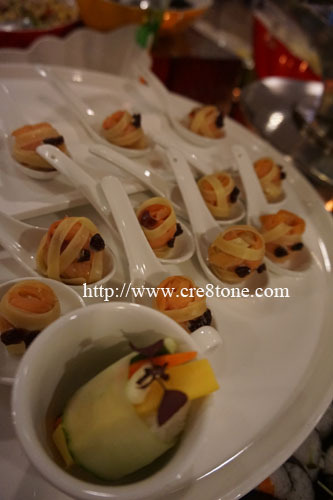 It not only ensure everyone..
Is having a great meal..
Come and pick a face..
Who left their fingers on the plate? While you can always live in peace? It makes it look like you ate more"
I think it tastes chocolatey yummy! 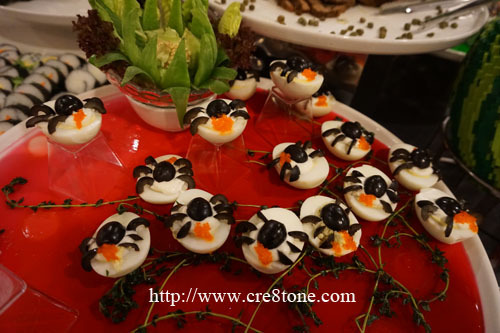 Spiders wandering on the eggs? 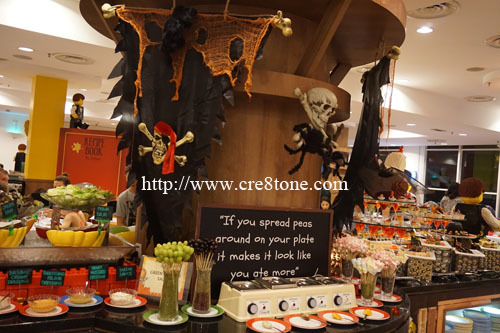 I loved looking at the scary food items. The chefs are so imaginative. I would love to take a bite of all of these food! omg creepy crawlies everywhere. But at the same time, cute. 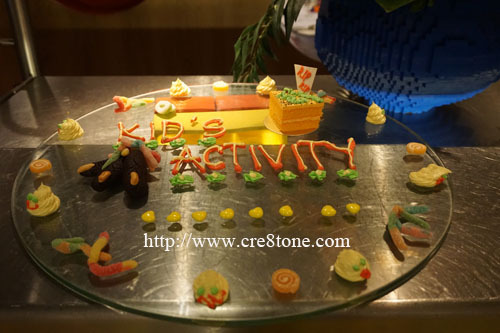 more and more creative kids food please! I was there too during Halloween event. It was simply awesome! 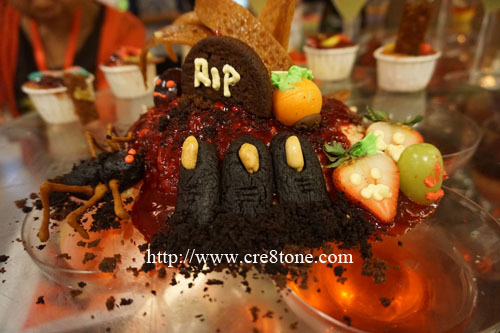 Waaa the food is so creative and scary in the same time!! Can't wait for Halloweeen now!! I should also have a coloring table cloth. Note to the future mom-side of me..lols.. It looks cute the food. oh halloween! the cute kind! 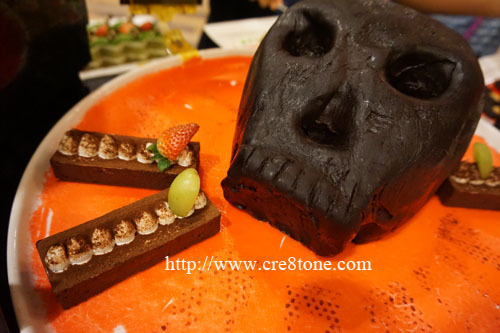 haha.. :D.
The food really spooky and I don't think I dare to eat on it. 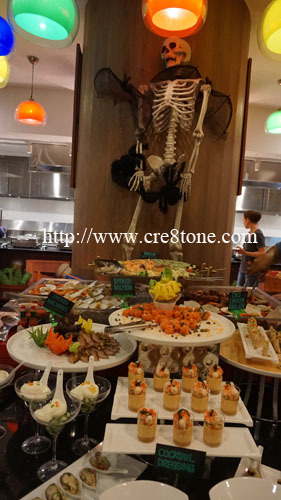 Nice decoration and food preparation. I bet my children will love this place too. 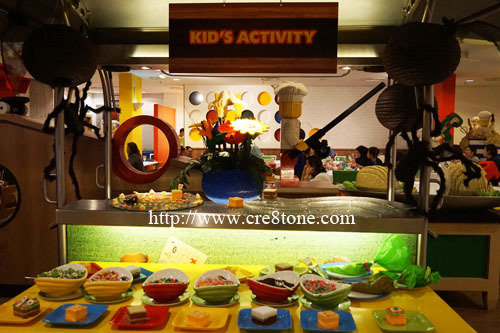 Lots of activities await them while Mommy could enjoy the dinner. omg i love this kind of theme! love the effort they put in their food design! 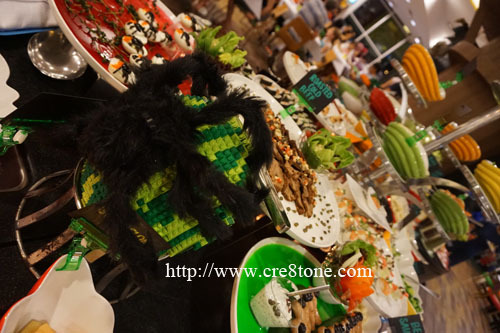 very creative at offering Halloween themed food! 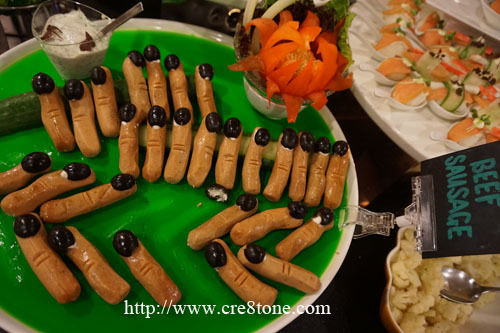 and they look delicious as well, although quite creepy. lol! I feel Halloween is a festival of creativity and new ideas. OMG...looks so fun, wish I was there too. 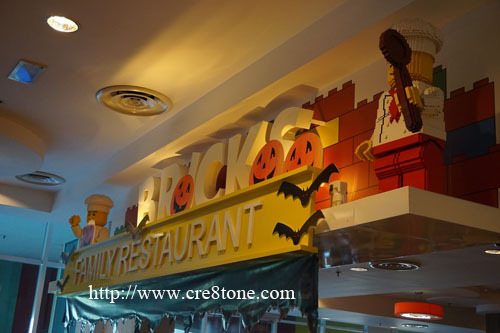 Next year, I'll plan a trip for Halloween at Legoland. yeah wanna go back again! so yummylicious to eat there. 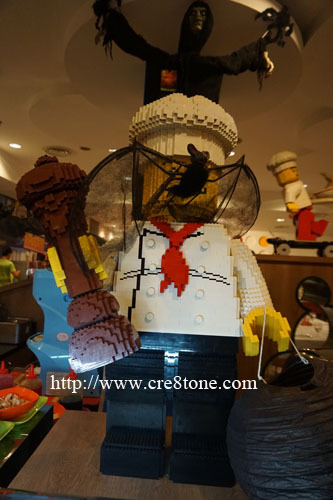 Wow~ What a creative theme restaurant. 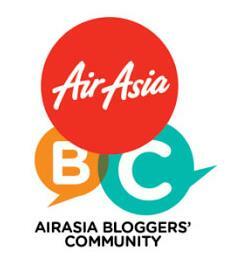 Should go check it out soon. 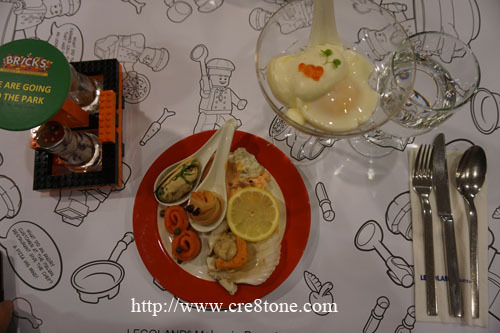 Omg the restaurant setup and food are so cute, nice family outing.